ProgressBar is a Visual indicator of progress in some operation. Displays a bar to the user representing how far the operation has progressed; the application can change the amount of progress (modifying the length of the bar) as it moves forward. 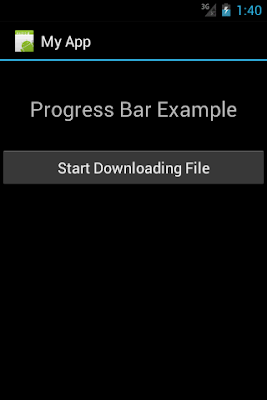 There is also a secondary progress displayable on a progress bar which is useful for displaying intermediate progress, such as the buffer level during a streaming playback progress bar.